I love tribal inspired fashion but I can't say I've ever really been drawn towards Ikat prints, I don't know, they always just seemed a little too bold and geometric for me. But lately Ikay prints have been catching my eye, especially when in the form of maxi dresses. I'm also finding myself partial to blue and white Ikat prints, or really any other color with white. I'm especially digging the Harvey Nichols dress above, which comes in a few colors. I think it's prefer for summer and would be perfectly happy wearing it every day for the next three months. I also love the Thakoon dress (mostly because I love anything Thakoon makes) but even at the sale price of $349 it's just never going to happen. 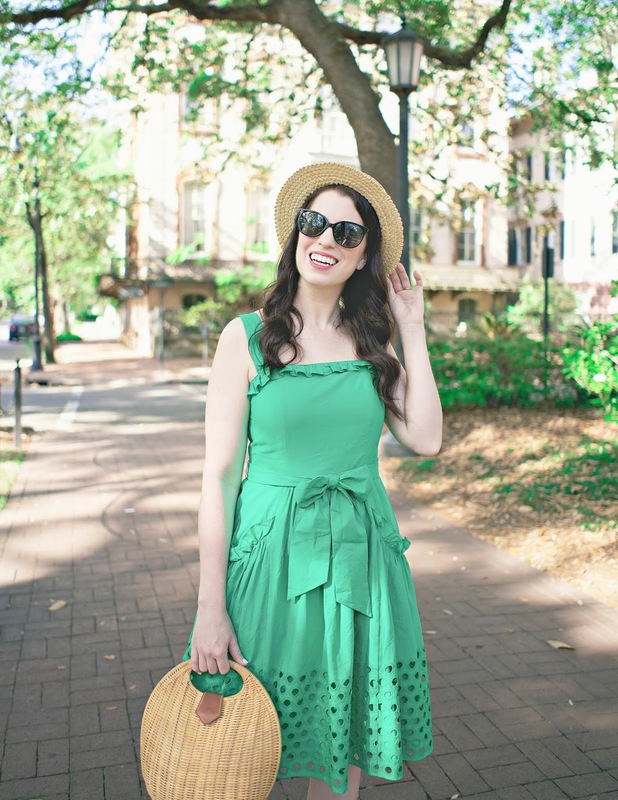 However, while creating this post I discovered Warehouse and I'm totally blown away by their super cute clothes at totally reasonable prices...A 100% silk dress for $116? I'll take it! The Ikat dress above is also silk (and machine washable!) and on sale for $81. 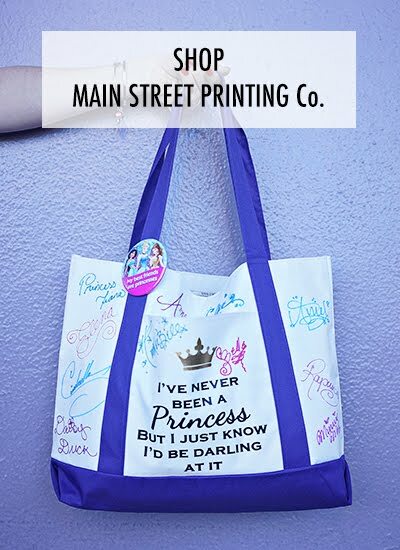 Has anyone purchased from this company before? Are the deals too good to be true? I want to believe so bad! 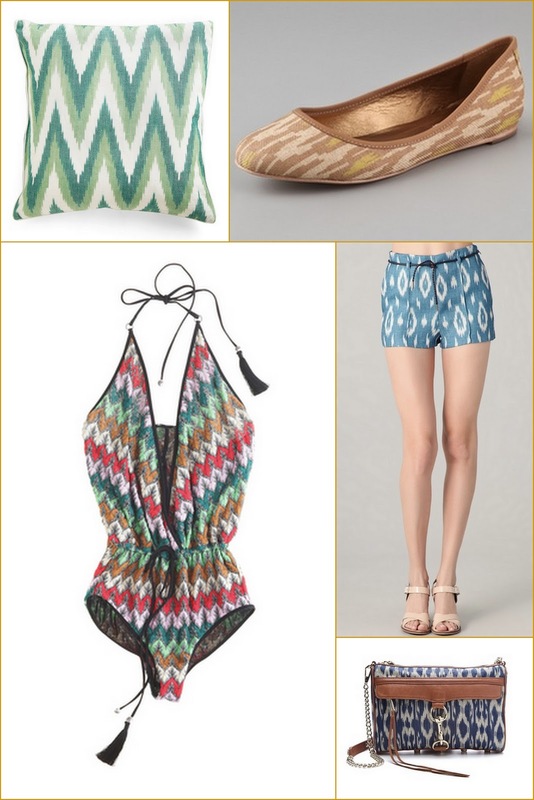 Ikat isn't only limited to clothing. 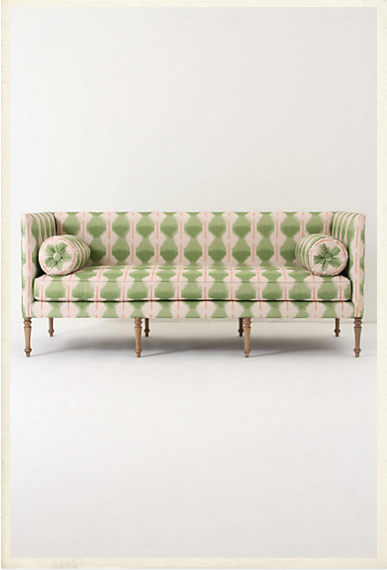 I am loving this Ditte Sofa from Anthropologie, which you can own for the low price of $3,298. Although considering the price of furniture these days, that's about par for the course. Clockwise: Karma Living Ikat Lover Pillow in Green; Twelfth St. by Cynthia Vincent Flats (on sale! ); Dolce Vita Augustina Ikat Shorts; Rebecca Minkoff Ikat MAC Clutch; Hanne Bloch Once Piece Swimsuit (kind of but not really Ikat, but too pretty to not include). Oh my gosh, I love the dresses!! All of them. Can I have them please?! I want to move to a tropical island where i can wear a swimsuit and a summer dress everyday! the dresses are so pretty! makes me ready for Friday night!! !